Public Service Company of Oklahoma, a unit of American Electric Power, is an electric utility company serving approximately 511,000 customers in eastern and southwestern Oklahoma. The state’s second-largest electric utility, PSO has more than 4,000 megawatts of generating capacity. To meet growing power demands, PSO looked to upgrade its Riverside Station generating facility, a 900-megawatt power plant on the Arkansas River. Wallace Engineering provided structural and civil engineering services for two new natural gas GE 7EA turbines, cooling tower, pump, tank and miscellaneous mechanical unit foundations to the existing power plant. 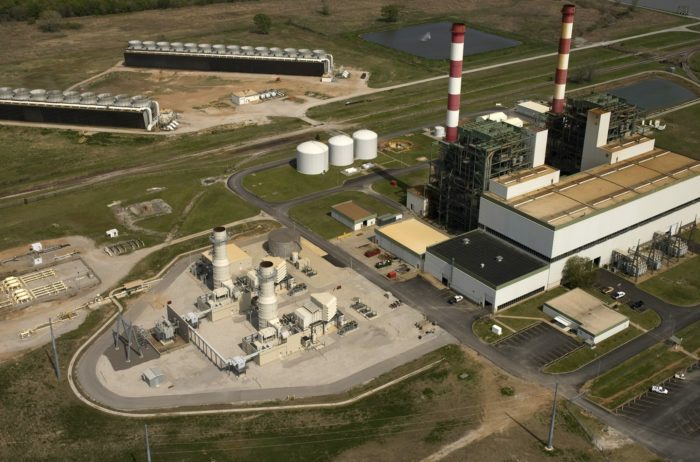 The addition added 170 megawatts of peak generation, which was part of AEP-PSO’s plan to add 500 megawatts of peak capacity.